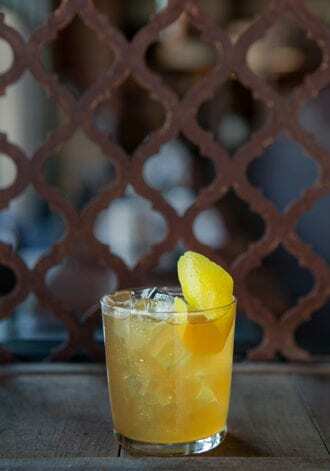 Daniel Parker Guidry drew inspiration for this simple sidra cocktail from a 1920’s recipe. Parker Guidry uses Bereziartua Sagardoa cider, which is on tap at Bar Casa Vale. Combine the brandy, sherry, lemon juice and syrup in a shaker and fill with ice. Shake until chilled then double-strain into a chilled glass, add the Sidra and fill glass with ice. Garnish. This decadent coffee snow cone is in high demand on hot summer mornings.